LTL Shipments are rated using the NMFC classification guidelines. The world of LTL freight is often a complex and typically is a difficult part of freight shipping to manage. Determining the right freight class can save you both time and money. We’ve created an easy-to-use calculator to help you choose the right freight class and accurately plan your shipment. 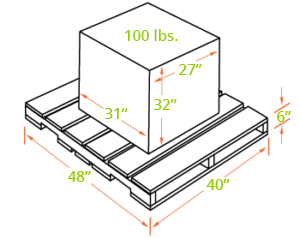 In cases where a shipment is palletized, the dimensions of the pallet determine the cubic dimensions. 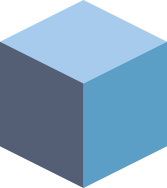 Although the original dimension of the carton remains the same, the cubic dimensions now include those of the pallet. Length 48″, Width 40″, Height 38″ (32″ plus 6″ of Pallet) Equals 72,960 Cubic Inches (Length x Width x Height) or 42.2 Cubic Feet (Length x Width x Height/1728). The Density equals the weight 130 (100 lbs. for the carton and approximately 30 lbs. for the pallet) divided by the dimension, 2.37 lbs. per cubic feet. In order to accurately quote LTL freight rates, LTL shipments must be classified correctly. The National Motor Freight Traffic Association has established 18 freight classifications ranging from 50 to 500. Classes are based on shipment handling, stow-ability, value, density and liability. Generally speaking, the lower the class, the lower the rate since lower classes are very dense shipments, which are harder to damage and easier to handle. Inversely, the higher the class, the higher the rate as the shipment is less dense. The information and tools on this page are intended to only be a resource to be used as a general guideline into the characteristics and attributes that are used by the National Motor Freight Traffic Association, Inc. in determining freight classes. 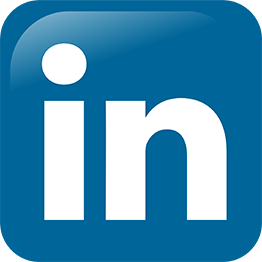 The information and tools on this page are not in any way intended to be a calculator for determining the exact actual freight class of your commodities. The most truly accurate method to ensure the accurate determination of freight class is to utilize The National Motor Freight Classification® (NMFC®) which is published by the National Motor Freight Traffic Association, Inc. More information can be found on this at The National Motor Freight Traffic Association’s website www.nmfta.org/pages/nmfc. The National Motor Freight Traffic Association also makes the full National Motor Freight Classification® (NMFC®) on-line tool called ClassIT® which is available for a fee www.classit.nmfta.org/all/Welcome.aspx. Failure to accurately determine the actual freight class of your items being shipped can result in significantly different and higher rating and carrier billings. Talk to one of our experienced freight specialists if you have any questions in determining your freight class. If you are unsure of the proper NMFC commodity class we can assist.